The trolley system that ran from downtown Wilmington was once the only mode of transportation( besides boa)t to reach Wrightsville Beach. And even then, Wrightsville Beach was the most popular choice for residents of Wilmington and neighboring towns. When it comes to summer homes up and down Lumina Avenue, there are many families who have owned a small piece of paradise here for many generations. The charm of Wrightsville Beach has been alive and well since the early days. Many North Carolinians then and now consider it one of the best beach towns to visit in the summer. Developed for an affluent residential community, the Town of Wrightsville Beach has a year round population of just under 3,000 residents. In summer, the beach becomes the “#1 Favorite “N.C. Beach Destination” by WRAL Out & About Voters (2016) and “where the rich go on weekends” by The Wall Street Journal (1999). Wrightsville Beach over the years has maintained its residential charm, honored its traditions, and kept its beaches clean. Wrightsville Beach is just a five mile long island, nestled between the Atlantic Ocean, Banks Channel, and the Intracoastal Waterway. Fishing, surfing, paddle boarding, boating, and kayaking enthusiasts never have a shortage of water for their hobby of choice. And if they decide to enjoy the day on dry land, they can walk or run “The Loop”, a scenic 2.5-mile path the circles the public park and natural marshes of Wrightsville Beach. Wrightsville Beach homes for sale continue to hold their value and have seen a reasonable amount of increase in value over the years. As the value for a parcel of land increases, many older beach cottages have been renovated or replaced by larger, modern homes, making the community an attractive option for not only year-round residents, but also for investors and buyers of second and summer homes. 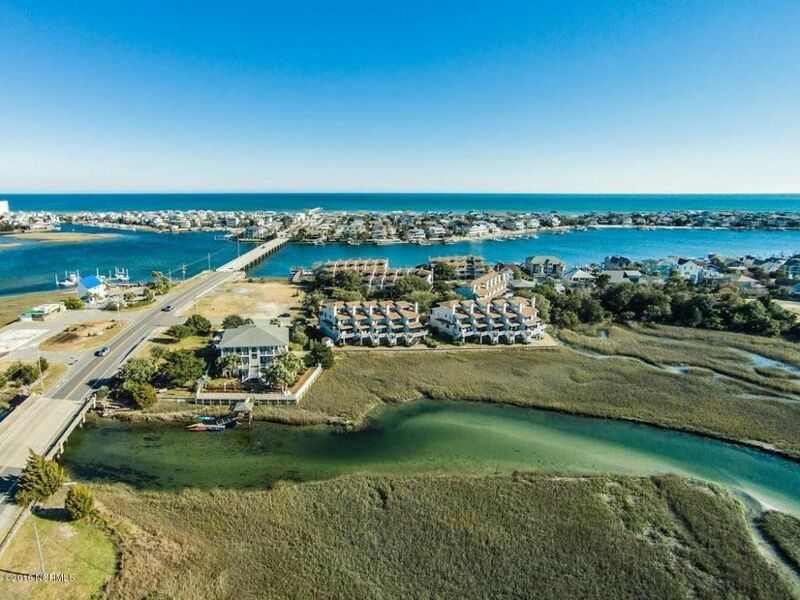 Anchored in Coastal Carolina’s rich history, it is no surprise this unique beach community continues to become an even greater sweeping vista along the water! Wrightsville Beach rests along the beautiful coast of North Carolina. From the beaches to the tidal creeks, Wrightsville Beach truly is paradise for those who choose to call it home. Owning property is also relatively inexpensive compared to the higher per square foot costs of Long Island and South Florida. The Wrightsville Beach, NC real estate market is generally a very healthy one. Houses, condos, and townhouses appreciate well with the overall Wrightsville Beach economy. 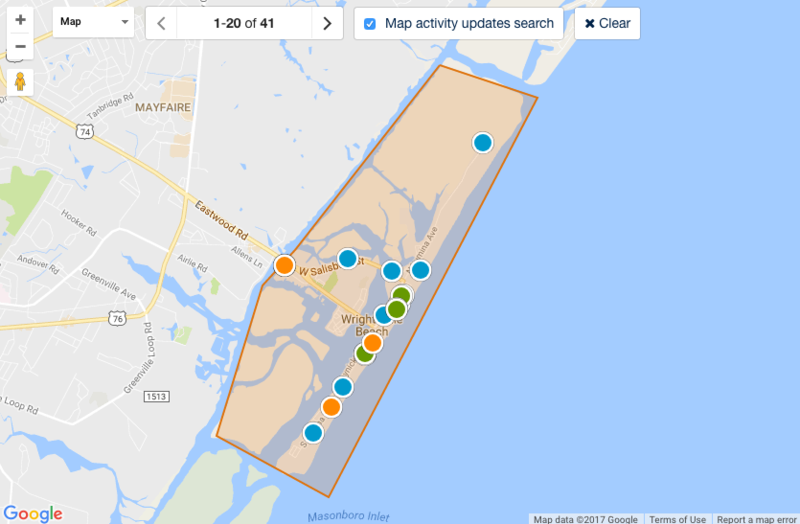 Properties for sale in Wrightsville Beach, NC range in value based on the exact location you choose to call your home or your vacation get-away. Ready To Search Wrightsville Beach Houses For Sale?